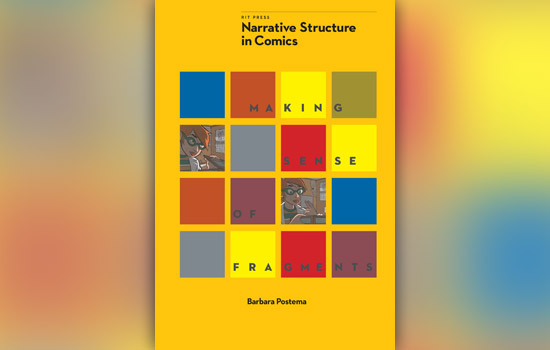 Barbara Postema’s new book, Narrative Structure in Comics: Making Sense of Fragments, explains how comics create meaning for readers by cleverly combining still images with text. Narrative Structure in Comics is the first book of the Comic Studies Monograph Series published by RIT Press, the scholarly publishing enterprise at Rochester Institute of Technology. The series is edited by Gary Hoppenstand, professor of English at Michigan State University, and will introduce scholars and the general reader to various theories and methods of Comic Studies including graphic novels, comic books and comic strips. To that end, the book reveals how the space between the images or dialogue is as important as the graphics contained within the sequence of comics. Narrative Structure in Comics: Making Sense of Fragments is available in softcover for $29.95 at http://ritpress.rit.edu or by calling RIT Press at 585-475-6766.